Philip Scheffner wird mit dem BILD-KUNST SCHNITTPREIS 2013 für die Montage des Films REVISION ausgezeichnet. Nach zahlreichen Screenings auf internationalen Festivals läuft REVISION jetzt auf ARTE. Danach ist der Film dann 7 Tage lang vom 12.11. - 19.11. online in der ARTE+7 mediathek verfügbar. REVISION gewinnt 'Award of Excellence' beim Yamagata International Documentary Film Festival 2013 in Japan. 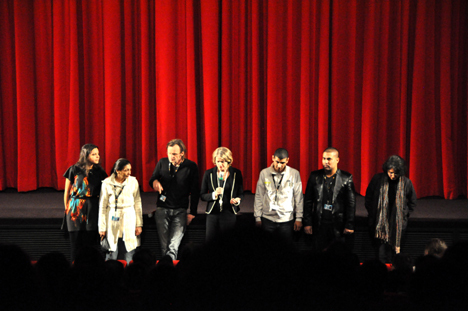 REVISION again at the Berlinale. The screening dates of the theatrical release in germany are fixed. 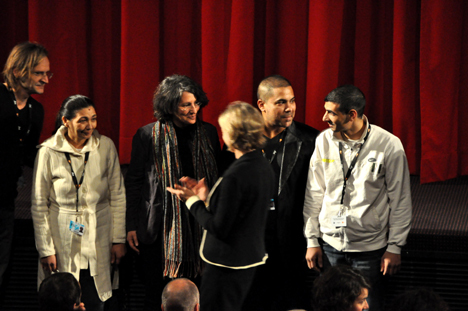 REVISION receives the Fritz-Gerlich-Filmaward at the Munich Film Festival. Film reviewer David Hudson ranks three films at Berlinale as "outstanding"- including REVISION. Amaro Foro e.V. Berlin launched a talk with Romeo Tiberiade, Roma-politician and minority representative of the district government Dolj in South-Romania and protagonist of the film REVISION on the topic "Roma in Romania - perspectives".